What better way to learn about running a municipality than meeting a mayor. 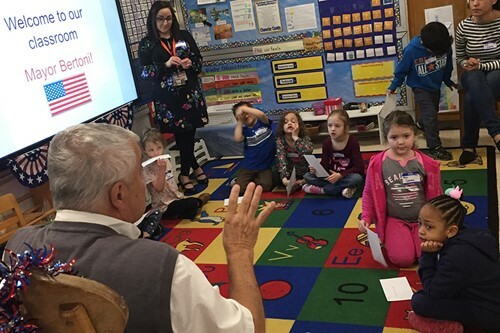 That is what some students got to do when the Village of Endicott Mayor John Bertoni paid them a visit. As part of a writing unit, students wrote letters to the mayor discussing the need for more stop signs and traffic lights throughout the village. Having the opportunity to meet the mayor and talk with him about this important issue allowed students to not only practice their writing skills but also to learn about what a mayor does and how a village like Endicott operates.